Make your landscaping dreams come true. 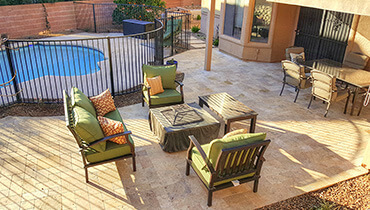 We are passionate about "Creating Your Outdoor Living Spaces." 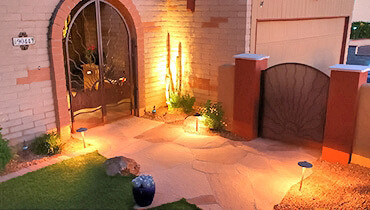 Transform your Tucson landscape with lighting, fencing, walls, and plantings. Check out our gallery to see our beautiful examples. Light up your life with a gorgeous outdoor lighting design that adds that extra sophistication and illumination to your outdoor living space. 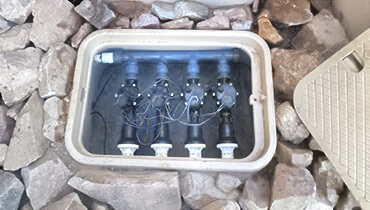 We offer all kinds of irrigation systems to keep yards flourishing and looking vibrant. If you want a drip system, sprinklers, or even water harvesting, we can do it all! 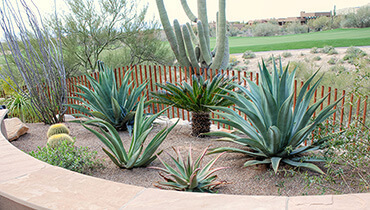 With changes in seasons and weather, Tucson landscape upkeep is very important. 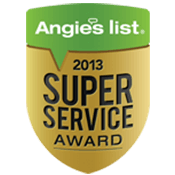 Let us do the hard work to keep your yard looking its best. 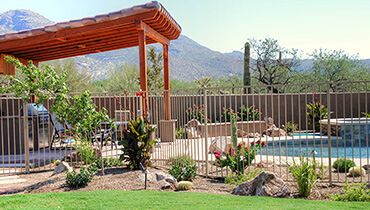 All Terrain designs hardscapes that helps compliment Tucson's landscapes. 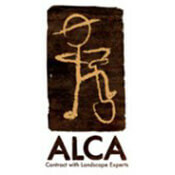 We use stone, concrete, flagstone, pavers, and more. Here in Tucson, we know what plants thrive and come alive in this environment. Let us help you design an eco-conscious landscape that fits your personality. When it comes to Tucson landscape, it's hard to know what is right for the environment, the style that would best fit your property, and what would make the most sense in your neighborhood. All Terrain Tucson works to create custom landscape designs and we do the hard work of installing every part of those landscapes from planting, to hardscape and water features along with lighting. Let us work with you to design your perfect yard with all our features- water, masonry, fire places or fire pits, mood lighting, and more! The options are endless! 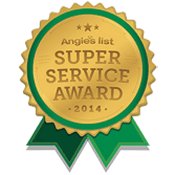 One of the most important roles in having the perfect yard is the upkeep. 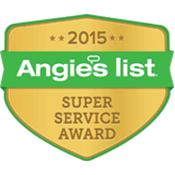 Let us come in and take care of that for you with a touch of expertise. 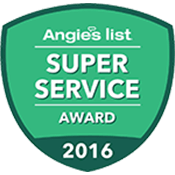 We offer regularly scheduled maintenance and will come and do special cleanups for the particularly difficult landscape features. Whether you’re looking to add a fireplace to your landscape or a beautiful stone pathway, we want to help with your needs regarding patios, pavers, or walls. Nothing is more charming on a cool desert night than to sit around a nice fire. If you are looking for a custom fire pit or fireplace for your backyard entertaining, we can build one for you! 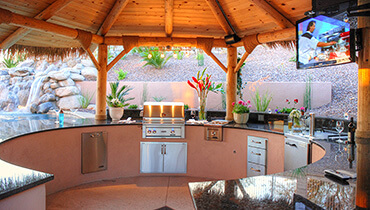 We also specialize in gorgeous outdoor kitchens so that all of your meals can be enjoyed in a serene and natural setting. We want to light up your life! Outdoor lighting brings as much grace and elegance to your landscape as natural touches do, so let us help! From lighting up your pathways to adding bright touches to your other landscape features, we can service any of your lighting desires. Are you looking to set up an irrigation system to water your beloved plants? Let us help you with a number of different irrigation options. We’re happy to travel to your location, take images, assess the situation, and provide you a FREE estimate on service. Make the right choice for your landscaping services. Contact All Terrain Landscape Creations today. WATCH US BUILD A $30,000 YARD IN 12 HOURS! During our episode of Fix-It and Finish It we loved building the Cortez family a yard to be proud of. 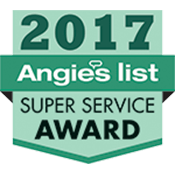 Thank you to Tucson’s Within Studio Interior Design, SprinklerWorld, Quarries Direct International, and Belgard Hardscapes. Please, fill the form below and submit it to get a Free Estimates. Tell us as much as possible. More description let us give you a better estimate. Thank You!